Sony has launched a new entry level digital camera – the Cybershot DSC-WX70 – that comes with hopes of being able to turn the fortunes of the Japanese electronics giant. The new camera belongs to the so called compact class and comes equipped with a 16-megapixel CMOS sensor, 5x optical zoom and a 3-inch LCD high quality display. Other tech additions include a built-in image stabilization system, a microUSB slot for transferring files to a computer and a HDMI port. The camera is also capable of recording 1080i video at 60 FPS while shooting 12MP photos at the same time. Size-wise the Sony Cybershot DSC-WX70 is about the size of a deck of cards. The battery is well-hidden at the bottom of the camera body, while the built-in HDMI port allows for the direct connection of the camera to a TV set. The camera has also been optimized for work in low light conditions and the f2.6-6.3 lens also helps with this task. Another welcomed feature is the presence of 9 built-in effects to make the photos more interesting or fun. 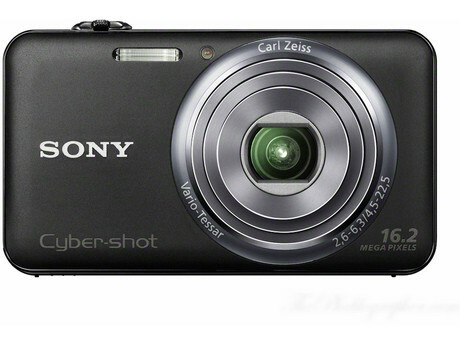 The Sony Cybershot DSC-WX70, along with its sibling the DSC-WX50, is the latest Sony effort in trying to compete with smartphones that nowadays come with high quality built-in cameras. The competition has been so harsh to the Japanese company that sales of low-end cameras have gone down 20% with more losses expected to come soon. This is the reason why Sony has been equipping its cameras with more and more features, yet for less and less money. The new DSC-WX70 costs 229 USD and will be available in March 2012 in silver, black, pink and violet colors.